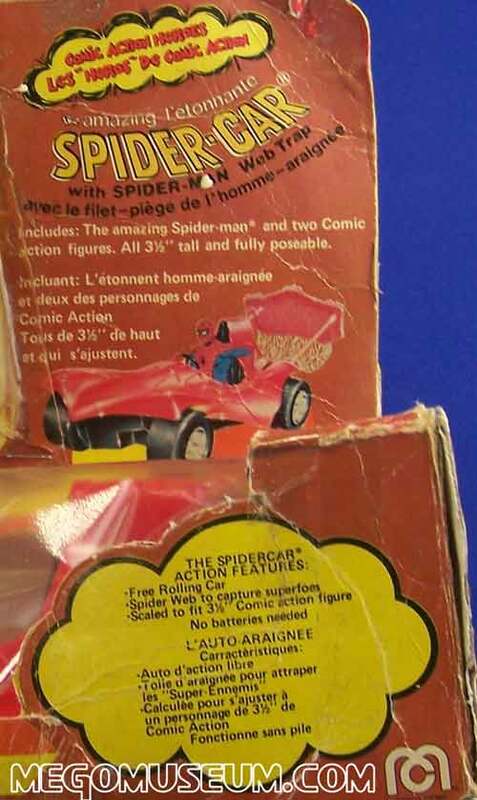 The Spider car (along with the Batmobile) was the last Comic Action item offered in 1978. 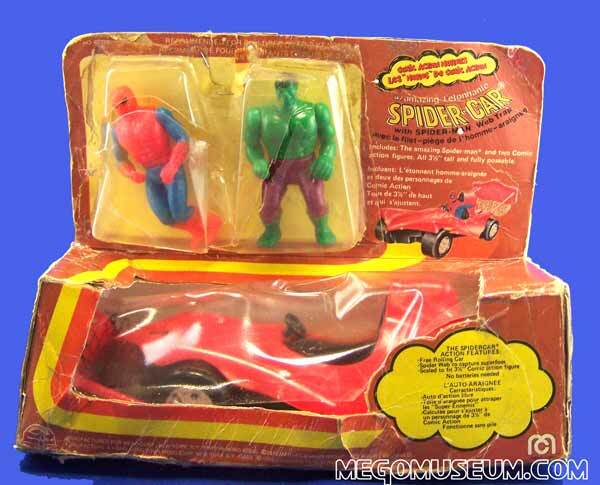 In 1979, it was repackaged and sold as a "Pocket Heroes' item and the early versions of the car still includes two Comic Action Heroes (most often Spidey and Green Goblin) for more information on that check out our Pocket Heroes vehilce gallery. 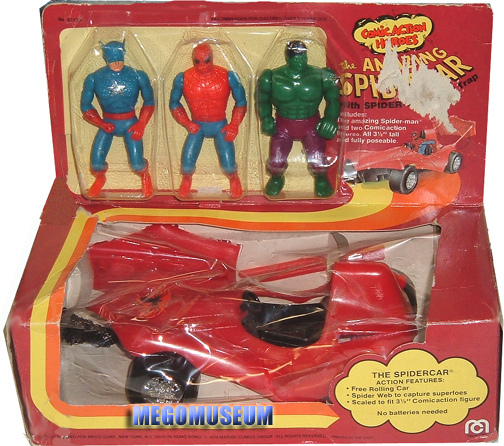 One of the tougher Mego Comic Action Heroes pieces to find are the Mego Comic Action Spidercar sets, which included a whopping three Comic Action Heroes. 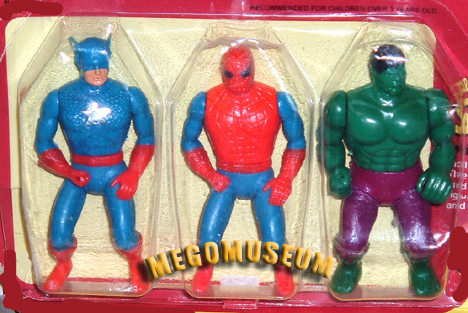 The three Comic Action figures included here are Cap, Hulk and Spidey. 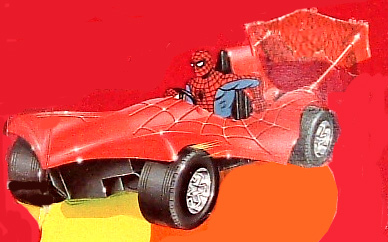 There area also variants that included Green Goblin instead of Captain America. The back of the box is fairly a simple affair and was later recycled for Pocket Heroes sets. 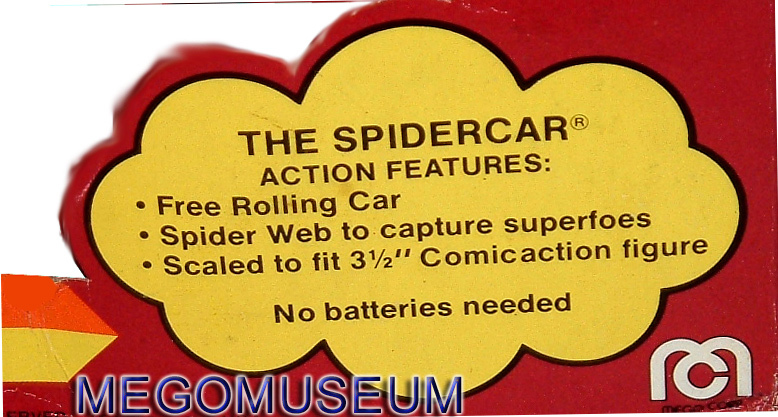 The "Comic Action" cloud is reused to describe the car's features. The back of the box accomodates for bilingual translation. Close up of the front of the packaging for "Les Heroes De Comic Action". Click on the thumbnail to see the original 1978 mego catalog page for this item!